The chicken with an I.Q. of 650! put that on your plate and eat it! 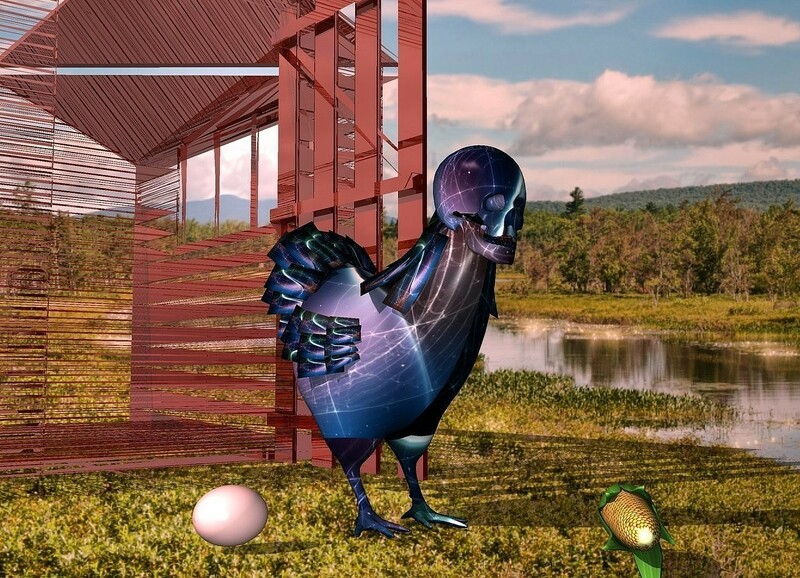 Input text: a [space] bird.a 6 inch tall [space] skull is -5 inches above the bird.it is -4.7 inches in front of the bird.a face up corn is 2 inches in front of the bird.it is facing northeast.a shiny shed is behind the bird.park backdrop.shadow plane.a pale egg is 3 inches left of the bird.wild rose sun.